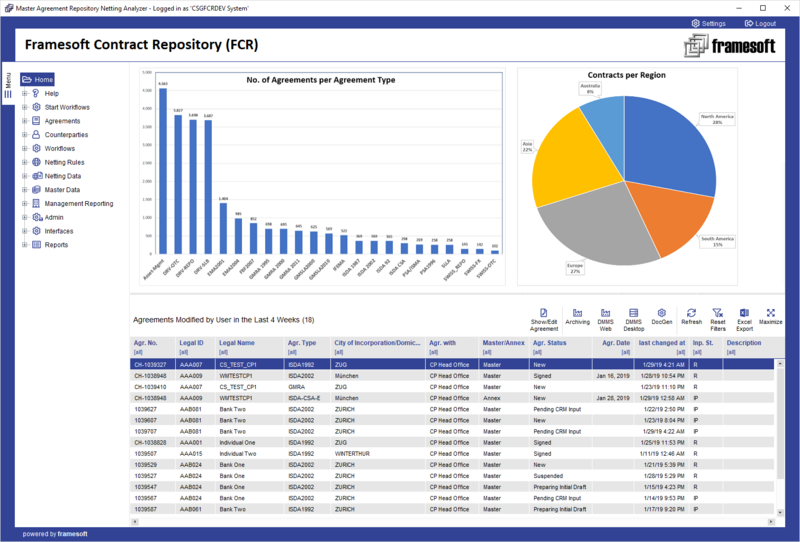 Zug, 15 February 2019: Framesoft unveils another major landmark in its Contract Management Suite (FCM), the availability of the new Framesoft Contract Repository (FCR) Release 4.0.
of any type of (Master) Contract / Agreement during its entire lifecycle. Commenting - provision of comments in contract terms or clauses to be shared with selected or all other groups involved in the contract generation. As a further extension of the Framesoft Contract Management Suite, FON for MA offers a versatile secure online platform for negotiating any kind of contract. It supports the secure and efficient online creation & negotiation of any type of agreement with your counterparties or internally. To support a seamless FCM integration generated contracts (including its data points) can be uploaded from FCR via “FCR Bridge”. Once a negotiation is concluded successfully the contract terms agreed can be passed back to FCR for reconciliation and netting via FCR Bridge again. 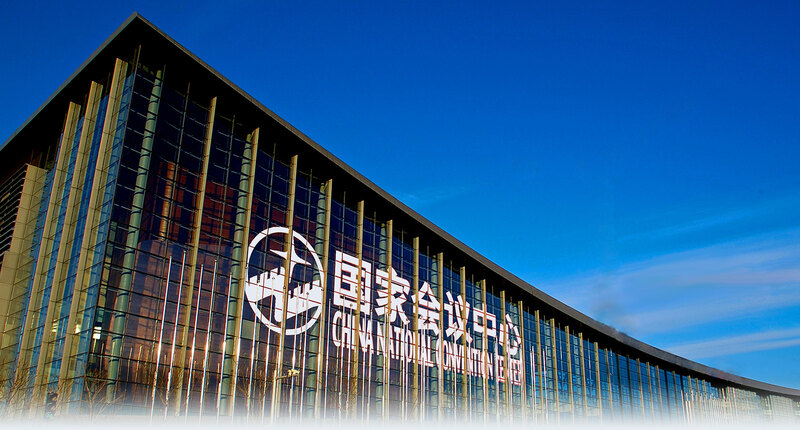 Zug, 2 May 2018: Framesoft will exhibit again at the 2018 Annual Conference of China Securitization & Strucutred Finance that will take place in Beijing from 7-9 May 2018.
that supports financial institutions in the process of engineering & issuing of derivative and Asset Based Products (ABS) as well as generating all required documentation (such as Term Sheets, Product Information Brochures (PIB), Offering Circular (OC), Prospectus, etc.). We are looking forward to your visit at our booth in the China National Convention Center in Beijing. Zug, 26 October 2017: Framesoft unveils the Framesoft Online Negotiation Platform (FON) for Master Agreements. Framesoft Online Negotiation (FON) for Master Agreements will be available in 2019. Framesoft will showcase the management and generation of all necessary documentation & contracts as well as the management of Legal and Operational risks. Frankfurt, 06 May 2017 - Deployment of FSP Release 7.11 for one of the world's largest investment banks. The upcoming FSP Release is currently planned to be rolled out later in 2017.